My primary research interest is modeling condensed matter systems using analytical and numerical approaches, and I have an interest in material properties which may prove to have technological value. My technical experience covers various tools used in condensed matter theory, ranging from numerical electronic structure calculations to more analytical field theoretical approaches. During my Ph.D. studies done under the supervision of Dr. Allan H. MacDonald at the University of Texas at Austin, first we investigated the influence of spin-orbit coupling on monolayer graphene and the energy gap opening by applying an external electric field in bilayer graphene using a tight-binding model and ab initio electronic structure calculations. Next, we studied the electronic structure of multilayer graphene. We developed a simple diagrammatic method to analyze the low-energy properties of arbitrarily stacked graphene sheets, and proposed an optical method to identify the stacking sequences. We also studied effects of electron-electron interactions and possible ordered states. Using a mean-field theory and perturbative renormalization group theory , we predicted that neutral graphene bilayers are pseudospin magnets, in which the charge density contribution from each spin and valley spontaneously shifts to one of the two layers. Furthermore, we demonstrated that room-temperature excitonic condensation is possible in graphene double layers, suggesting new electronic device applications based on unusual collective transport of bilayer excitonic condensates. The use of collective behavior of many electrons suggests the possibility of a new electronic device scheme called pseudospintronics. After moving to NIST as a postdoctoral researcher working with Dr. Mark D. Stiles, I extended my research to the area of spintronics focusing on the effects of disorder on magnetic domain wall dynamics. We performed micromagnetic simulations in the presence of extrinsic random potential and studied the dynamics of vortex wall propagation driven by fields or currents, and vortex gyration driven by magnetic field pulses. We found that the dynamics in the presence of disorder can be understood in terms of an effective damping that increases with the disorder due to the excitement of the internal degrees of freedom in the vortex structure. Next, I joined Dr. Sankar Das Sarma's group at University of Maryland as a postdoctoral researcher. I focused on various electronic, transport and thermodynamic properties in two-dimensional electron systems including graphene and GaAs heterostructures, investigating effects of phonons, disorder and electron-electron interactions taking into account many-body corrections within the random phase approximation. 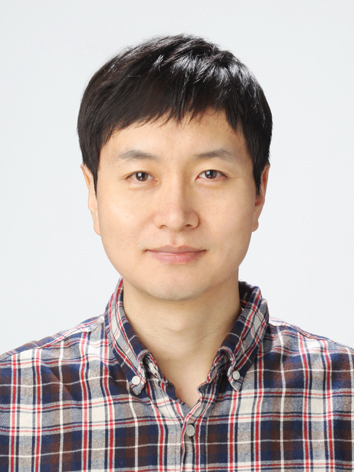 After I joined the Department of Physics and Astronomy at Seoul National University as a faculty member, I am focusing on electronic, optical and transport properties, and interaction effects in two-dimensional layered structures (such as multilayer graphene, transition metal dichalcogenide and black phosphorus) and in three-dimensional topological semimetals (such as Dirac/Weyl semimetals and nodal line semimetals). We expect that the interplay between the chiral electronic structure of electrons and the interactions with light, disorder and other electrons leads to many interesting physics exhibiting a unique quantum response. Currently, we are studying optical and transport properties of various materials focusing on the characteristic frequency dependence and density/temperature dependence of quantum response functions. We are also investigating the interaction induced effects such as correlation energy, collective phenomena, ordered states and topological phase transitions. arXiv:1809.10691 (2018), accepted by Phys. Rev. Lett. Comment on "Electron screening and excitonic condensation in double-layer graphene systems"
From September 2011, I joined the Department of Physics and Astronomy at Seoul National University as a faculty member.